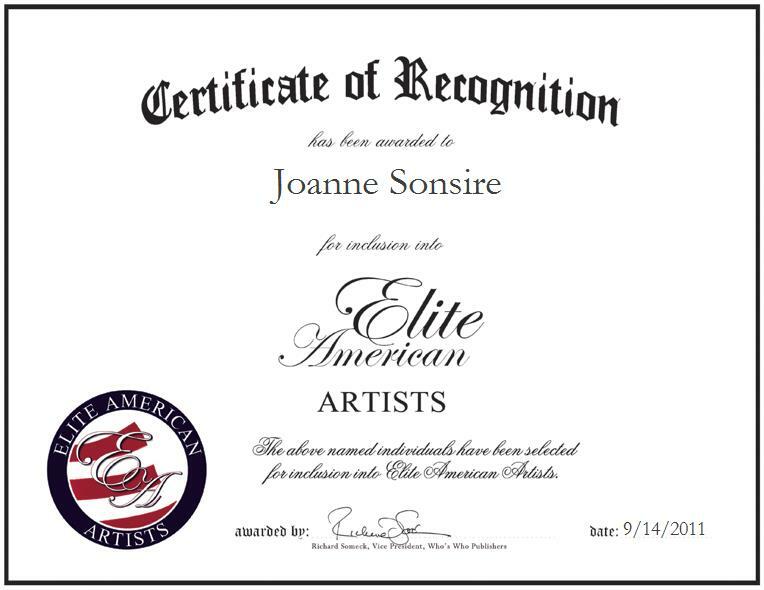 Joanne Sonsire is a professional artist working for Oct Studio in Horseheads, N.Y. She is known for her watercolor artwork, which includes pastels, image transfer and photo transfers. For her artistic excellence, she received awards from the Gmeiner Art and Cultural Center and the Pennsylvania Watercolor Society. Additionally, Ms. Sonsire was the two-time recipient of Arnot Art Museum’s Palette Award. With more than two decades of experience in tow, she aspires to teach and display her work in nationwide galleries in the coming years.